Purple potatoes are a relatively new potato available in the US. 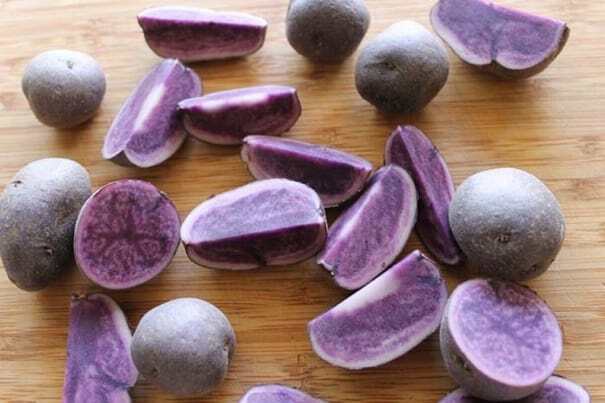 Purple potatoes originally come from South America. These potatoes have been used in Peru and Bolivia for centuries. The purple color these potatoes provide add much more than a pop of color to a meal. The phytochemicals called anthocyanins are what give the purple color to these potatoes, and many studies have shown various health benefits from consuming foods high in anthocyanins. 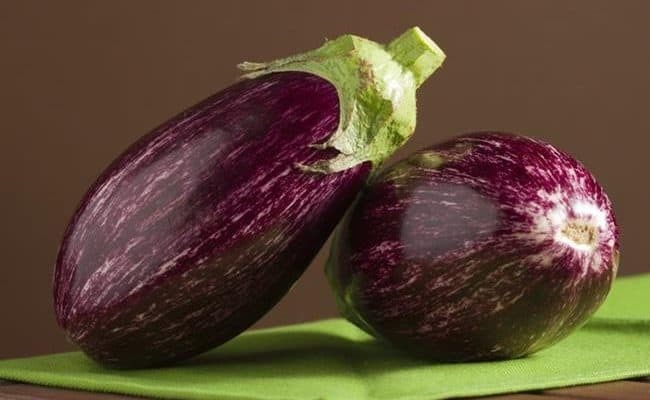 Anthocyanins are also found in other deep red, blue or purple fruits and vegetables. Purple potatoes contain a high amount of anthocyanins because of their bright color. As a result, they have a very high antioxidant level similar to kale or spinach (1). Adding in purple potatoes and other brightly colored fruits and vegetables can help boost your antioxidant intake. 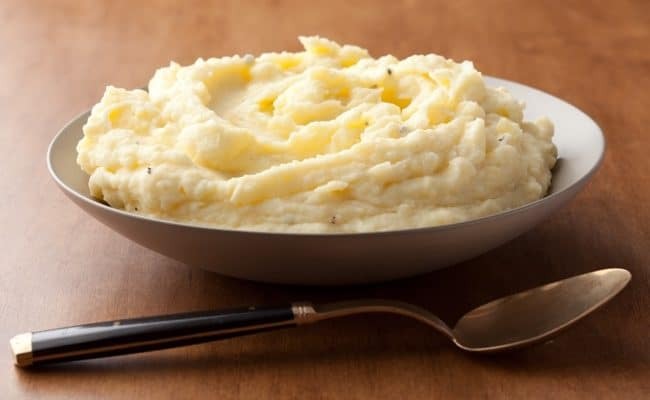 Potatoes are primarily carbohydrates. 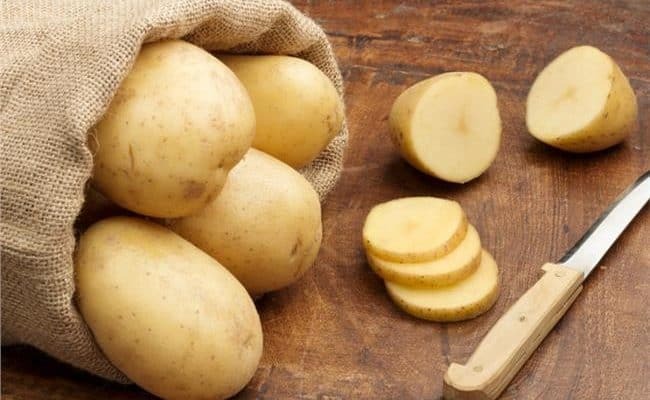 Because of this, some people shy away from eating potatoes because they think eating them may increase risk for weight gain. 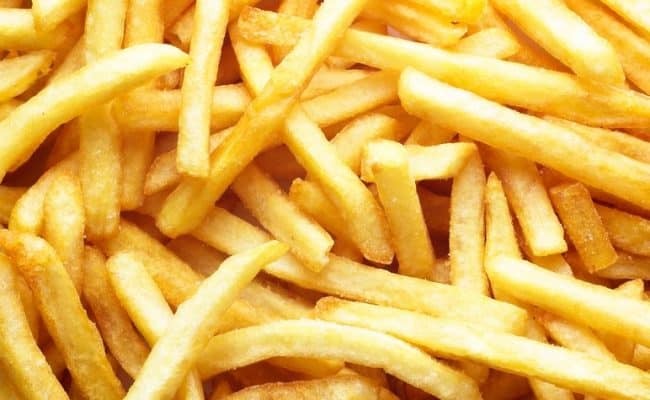 A study from Harvard (1) did find an increase consumption of French fries, mashed or baked potatoes did increase risk for small but significant weight gain over 4 years in research participants. Does this mean you should shy away from purple potatoes? Purple potatoes offer many health benefits, and a closer look at the Harvard study suggests French fries alone had a much higher associated risk for weight gain compared to whole potatoes. A 2017 study (2) analyzed the effect purple potatoes could have on obese mice. 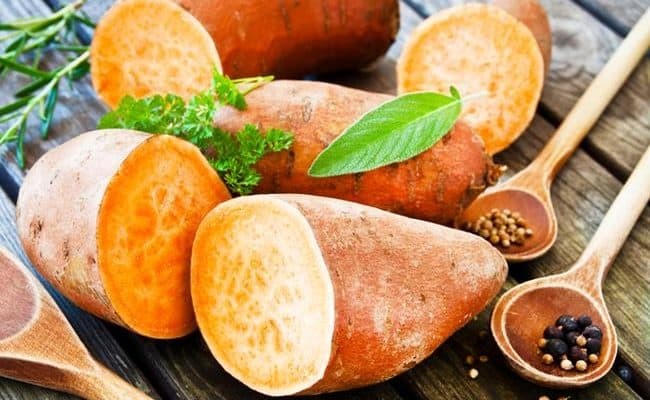 Researchers found a high concentration of purple or sweet potato in the diets of the obese mice helped lower body weight and fat accumulation. Purple potatoes are a good source of fiber and antioxidants, which may be why they helped with weight loss in mice. More research is needed in humans, but this study suggests eating purple potatoes may not increase risk for weight gain. An important question is always what are you eating with the potatoes and how you cooking them? According to a 2011 NBC News article (3), research from the University of Scranton in Pennsylvania suggests purple potatoes may help lower blood pressure. Eighteen overweight or obese women were split between eating purple potatoes everyday (about 200 calories worth) or no potatoes. After 4 weeks, researchers found the purple potato group had lower blood pressure levels and did not gain any weight. Besides containing antioxidants and potassium, purple potatoes also contain chlorogenic acid which has been shown to lower blood pressure in animal studies. More research is needed with larger sample size, but this study suggests eating purple potatoes could be beneficial for lowering blood pressure. Besides possibly benefiting blood pressure, anthocyanin rich foods like purple potatoes could offer other heart health benefits. Data from the Iowa Women’s Health Study found women who consumed anthocyanin rich berries at least once per week was associated with a lower risk for death from cardiovascular disease. Data from the Nurse’s Health Study found a high intake of anthocyanins was also associated with a lowered risk of heart attack (4). Adding in more purple potatoes to your diet is one way to get more heart health benefit from anthocyanins. 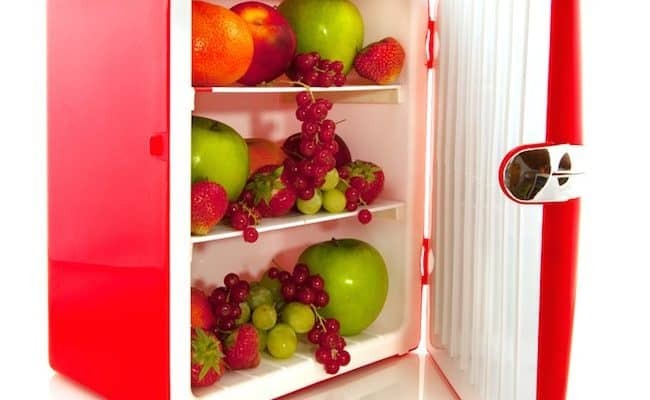 Eating a variety of brightly colored fruits and vegetables such as berries and cabbage is also a good way. Cell and animal studies have shown anthocyanins to have cancer fighting properties (5). The way anthocyanins fights cancer cells is still unclear, but studies have found anthocyanins to prevent cancer cell growth, increase cancer cell death and inhibit growth of blood vessels needed for cancer tumors. A 2006 study (6) looked specifically at anthocyanins from potatoes and the impact they had on stomach cancer cells in mice. 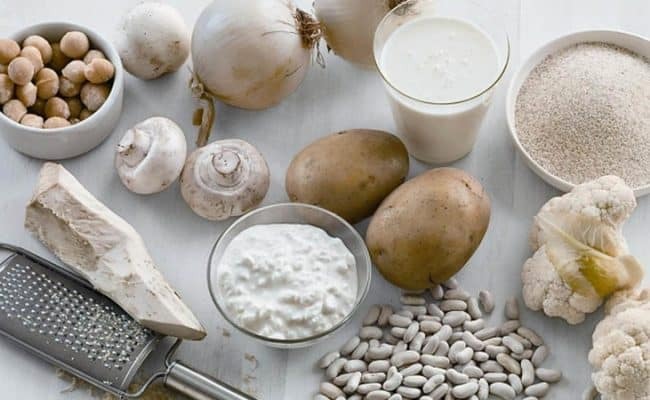 Researchers found feeding mice concentrations of potato antocyanins inhibited growth of stomach cancer cells. More research is needed, but from this study it appears antocycanins from purple potatoes may help fight stomach cancer cell growth. Animal studies have shown anthocyanins and other plant antioxidants may help improve memory and cognitive function. Blueberries, which are also rich in anthocyanins, have especially been shown to have a significant role in reversing age-related cognitive decline. For the largest benefit from protecting cognitive function, it is recommended to consume a diet high in a variety of anthycoanin and antioxidant rich fruits and vegetables. There are no causal studies showing eating anthocyanins can eliminate risk for cognitive decline. In other words, even if you eat purple potatoes and blueberries, it can’t guarantee you won’t get age related memory loss or dementia. Studies right now have shown an association between anthocyanin intake and protecting cognitive function, but more research is needed on optimal dosing. Like other health conditions, cognitive function is influenced by many factors. Mice and rat studies have shown purple potato extracts can help protect liver cells from damage. 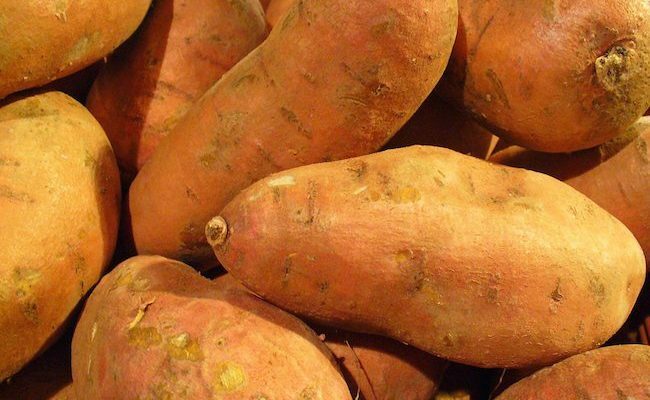 This suggests purple potatoes may offer protection to liver cells from harmful substances. For example, a 2006 study (7) analyzed the effect purple potato extract had on rats that had liver injury. Researchers found when rats with liver injury were given purple potato extract; indicators of liver harm were lower than when they did not receive the extract. A 2016 mouse study (8) also found anthocyanins from purple potatoes helped protect against alcohol liver disease. Researchers concluded purple potato anthocyanins may be effective for protecting against alcohol related liver injury. More research is needed in humans. Purple potatoes, like other fruits and vegetables, can offer many health benefits. Most health benefits from purple potatoes are thought to be from their high anthocyanin content. Anthocyanins can protect cells from damage and may help fight certain cancer cells, protect liver cells from damage and may help offer protection against age related cognitive decline. Purple potatoes have been shown to help lower blood pressure and offer other heart health benefits. Adding more purple potatoes into your diet can help you get these health benefits. If you are worried about eating purple potatoes while trying to lose weight, there is no evidence to suggest adding purple potatoes to your diet will increase weight gain.